SHPE PSC is proud to sponsor the Washington Education Law and Policy Review, Volume 2, Issue 1. 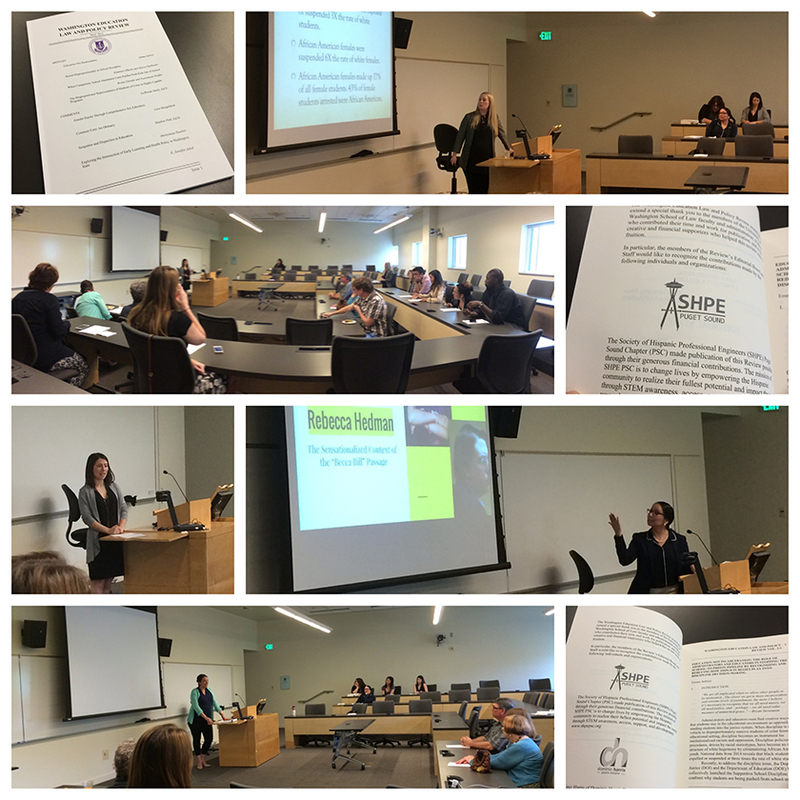 This publication is put together by the Education Law & Policy Society at the University of Washington School of Law. SHPE PSC members are cordially invited to attend the annual launch event, which will showcase presentations by article contributors and a special keynote speaker. There are a limited number of hard copies that will be issued free to attendees who RSVP and attend. The hard copies of the publication will be distributed during registration in a first come, first serve basis until supplies last. The only hard copies that will be reserved are one copy per author, sponsor, and members of the editorial staff. Registration will begin at 5:15pm. IMPROVING DISPROPORTIONALITY OF STUDENTS OF COLOR IN HIGHLY CAPABLE PROGRAMS (HCP), LaWonda Smith, Ed.D. COMMON CORE: AN OBITUARY, Stephen Fink, Ed.D.